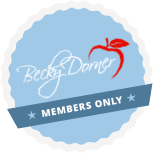 Making Nutrition Your Business: Building a Successful Private Practice, 2nd Edition Course - Becky Dorner & Associates, Inc. This course is a valuable resource for RDNs currently in private practice or for those just starting a private practice. The Academy of Nutrition and Dietetics recognized the growing number of registered dietitian nutritionists (RDN) working with clients in private practice and decided to focus this edition of Making Nutrition Your Business on defining the essentials for starting, developing and growing a private practice. In addition to describing the details for starting a private practice, the book/course explores methods to diversify your private practice and expand your revenue stream. RDNs interested in learning how to become insurance providers and file for insurance coverage for their services are provided with guidance for setting up third party reimbursement. Describe the role of the Registered Dietitian Nutritionist (RDN) in the evolving areas of private practice. Identify fundamentals necessary for starting and/or diversifying a private practice. Implement a strong business and marketing plan for a private practice. Create effective financial policies and procedures for a successful private practice. Develop marketing materials including a website to promote a practice. Assess office space and equipment necessary for establishing a private practice. Compare the difference between patient self-payment and third-party reimbursement. Validate knowledge of third-party payment options. Explore ways to integrate technology as a marketing tool to secure clients. Identify the steps needed to become a credentialed Medicare provider. Demonstrate the counseling skills required to become a nutrition therapist versus a nutrition educator. Define the important steps necessary to plan effective nutrition learning sessions.